The Reserve Bank of India's (RBI) proactive measures to make it binding for banks to recognise stress through asset quality reviews is indeed laudable. Expectedly, bulk of its impact would be on the on the public sector banks, which are stuck in a cesspool of stressed assets. ETMarkets.com: Calendar 2016 has not exactly started with what most investors had in mind. Investor wealth as measured by market capitalisation on the BSE is already down by Rs 8 lakh crore so far this year. What do you make out of this market scenario? 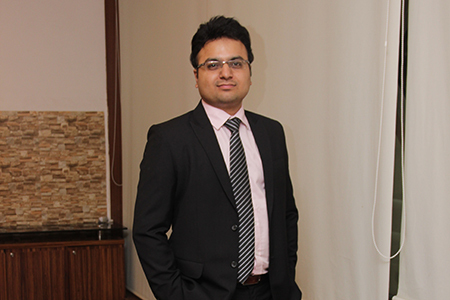 Amar Ambani: A large part of calendar 2016 may see volatility triggered by several factors. On the global front, these could include fresh rate hikes by the US Fed, a further fall in the Chinese currency and geopolitical issues. Back home, there is no sign of revival in corporate earnings. Also, the adverse effect of parliamentary politics on the reform process and the challenge posed by regional parties to NDA in the assembly elections in key states will make markets jittery every now and then. One can expect a 6-8 per cent correction in the Nifty50, but valuations, in that case, would have turned attractive enough to ignore the near-term challenges. For investors with no bias for the market cap, the market offers ample choices even at current levels. Beyond doubt, Indian equities will outperform gold, realty and bonds over the next five years. ETMarkets.com: Most analysts have already written an obituary for public sector banks. But some still see them as a long-term plays and value plays, especially after steep correction seen in the past couple of months. What is your view on banks? Amar Ambani: The Reserve Bank of India's (RBI) proactive measures to make it binding for banks to recognise stress through asset quality reviews is indeed laudable. Expectedly, bulk of its impact would be on the on the public sector banks, which are stuck in a cesspool of stressed assets. Stress recognition following the quality reviews would further threaten their near-term existence due to the collateral damage through contraction in net interest margin (NIM), higher credit cost and shrinkage of core capital. In such a case, capital commitment from the government would be key for their evaluation to prevent further erosion. There's every chance that stocks of some of these stressed PSU banks may get cheaper in the medium term. From a long-term perspective, many stocks across sectors look attractive, but being investors, with limited capital and a smaller time horizon compared with promoters of a company, we need to consider the opportunity cost of an investment. We rather prefer HDFC Bank, IndusInd Bank and Kotak Mahindra Bank which stand to significantly benefit in the present scenario to gain market share at a brisk pace given their strong position in consumer finance and business banking. ETMarkets.com: Most central banks have decided to pump in more money to boost growth. The decision by ECB President last week gave markets hope and our benchmark indices bounced back from lows. How do you read the action of the central bankers? Amar Ambani: Japan announced its adoption of negative interest rates as a circumstantial stance to counter the ongoing economic slowdown. Like Japan, central banks around the world will do what they would reckon as necessary measures to prop up their respective economies. Some of this money may find its way into equities for sure. This may not necessarily help in the long run, but can surely postpone the problem (who knows, it could be for worse as the problem could get aggravated in future). Over time, the marginal positives derived from such actions, more often than not, drop off. The day central bankers feel the absence of the intended impact, they will reverse their moves. ETMarkets.com: There is a lot of noise that the US economy might be heading into recession unlike what policymakers think. What is your view on that? Amar Ambani: Clearly, the global financial crisis has not yet been addressed. A full-fledged recovery will surely take some time and we simply can't escape this phase of painful adjustment. Rather than fret over global cues, I would rather focus on India and its positives. India is the world's fastest growing economy; much better placed than other emerging markets. Growth, in our case, is not dependent on any external thrust; what we need is capital. In the 25-year-long tryst of their India investment, FIIs have been net sellers of Indian equities only for 3-4 years. So, I am not overly worried about the current exodus. In fact, foreign portfolio investors (FPIs) are likely to make India larger allocations in time to come. More importantly, the domestic equity inflows - by MFs, Insurance players and pension funds and retail investors - are steadily on the rise. Favourable fiscal deficit and current account deficit, low commodity prices, demographic dividend and a largely stable central government are some concrete positives for the domestic economy. ETMarkets.com: What are your top investment ideas which can become multi-baggers over the next 2-3 years? Amar Ambani: I would recommend a stock-specific approach. Cafe Coffee Day, J Kumar Infra Projects, Capital First, Greaves Cotton are some of our stock picks for 2016. We also have faith in dynamic consumer plays such as Paints, Tiles, Durables, Sanitary-ware, Quick service restaurants. ETMarkets.com: What is the sense you get with respect to RBI? If we look around, most central banks are planning to pump in money. Amar Ambani: I don't think RBI will cut repo rate soon. Inflation has moved broadly in line with its trajectory; it has clearly not undershot. Governor Rajan will observe the 'wait and watch' move by the US Fed very closely. If the Fed does raise rates this year, it may be difficult to expect more than 25-50 basis points cut from RBI in 2016. However, come April, as the banking system moves to an era of the marginal cost of fund-based lending rates, interest rates, in general, will trend lower, and transmission of pending policy rate reductions of last year will also happen. ETMarkets.com: Any investment mantra you would like to share with investors to beat volatility. Warren Buffett once famously said: "Volatility is a long-term investors' best friend." Do you agree? Amar Ambani: When the market is trending upward, you hardly get the time to think. At times, one is even forced to ignore quality or buy it at expensive price tags. Volatility gives you the chance to spot mispricing in quality stocks and lap them up. The best-performing stocks in your portfolio will invariably be the ones bought in a bear market, not during a bull run. Equity participation during dull and lull market periods matters far more than the frenzy during bull runs. The former is necessary demands conviction; the latter more often than not is driven by herd mentality.